I haven't been good at remembering to post here each time but I am still writing at The Estella Society for the 100 Best Chapter Book Project, with posts going up on the 15th and the last day of each month. My most recent read was Harriet the Spy. I would love to get more comments over there! 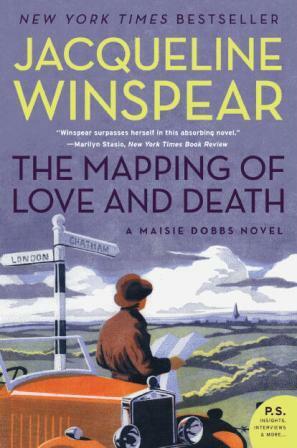 The Mapping of Love and Death is the seventh of Jacqueline Winspear's Maisie Dobbs books. The series, while remaining quite good since the beginning, had started to stagnate just a little bit but happily this one took Maisie's character in a bold new direction. The mystery itself was interesting -- tracking down the wartime love of an American cartographer who joined the British forces during The Great War. But the changes to Maisie and her lifestyle really stole the story. There were moments of great sadness and also of satisfaction and joy. I'm definitely looking forward to getting the next book in the series -- A Lesson in Secrets. There are now all new aspects of Maisie's life and circumstances to explore. I finally started the Peculiar Crimes Unit Mysteries by Christopher Fowler (which is a good thing since I already own five of the books in the series ... damn you, Half Price Books). 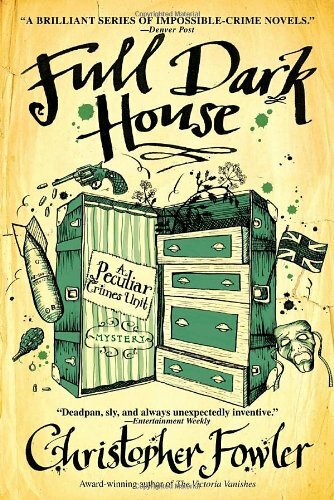 The first book, Full Dark House, alternates between present day and WWII-era stories. In the present, John May is both mourning and investigating after a bomb decimates the offices of the Peculiar Crimes Unit and, presumably, his investigative partner of decades, Arthur Bryant, who was working there alone. Because the clues from the modern day explosion point back to Bryant and May's first case together, the reader is taken back to see how that unfolded. The writing was a little uneven in this book but I'm assuming that it's because it was a first outing for these unusual men. I definitely intend to continue with the series. The past case was quite unique and the period details of the Blitz were very well done while the emotions of the present were also believable and touching. Quite a while ago, I got an ARC of the third book in this trilogy (which I obviously couldn't just read on its own, right?) but luckily another blogger was offloading the first two books. And then the size of the three books (this one is 544 pages and the others are similar) caused me to stick them in the TBR pile for a while. 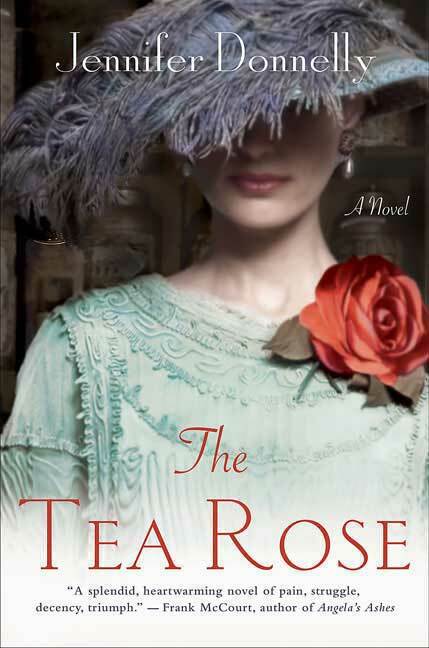 But I've been in the mood for chunksters lately so I finally picked up The Tea Rose by Jennifer Donnelly. This was the straight-forward but compelling story of a young woman from very modest means who made her way in the world despite constant setbacks and tragedies, all because of her own strength of spirit and her special talent for identifying tea. I really enjoyed this story. It's been a while since I read a nice big saga and I had forgotten how much I like working my way through a character's entire life. As our main character is only about 30 at the end of this book, I am assuming that the next book is still about her but I'm not sure. I will definitely be finding out sooner than later though! I've (hopefully) learned my lesson about leaving books on my TBR for too long. Argh, the Donnelly books are never at my library! Real talk: Could I skip the first one? I know you shouldn't but COULD I? Then at least I'd know if I like the books enough to go to some trouble to acquire and read them in order.